On December 2, 2013, a commercial truck containing a dismantled radiation treatment device was stolen in Mexico. The device contained a significant amount of the radioactive material Cobalt 60. A few days later, the device was recovered. At least 6 people were evaluated for radiation exposure, but it was reported that all tests were negative, indicating that the radioactive material was not released. It appears that a very dangerous radiation disaster was avoided. When radiological disasters happen, the victims end up where radiologic technologists work, in the hospital. They may be contaminated with radioactive dust or shrapnel in their bodies and on their clothing. As a radiologic technologist, even though you mainly work with X-rays on a day-to-day basis, the other hospital staff and public will have a reasonable expectation that you will have a better understanding than most about how to deal with a radiation disaster safely. 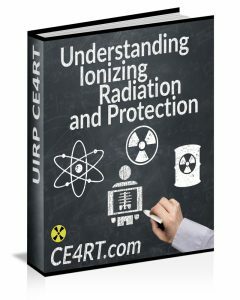 This topic is discussed in more detail in the radiologic technologist continuing education course offered on this site titled, Understanding Ionizing Radiation. It will also be discussed in other blog posts on this site in the future. 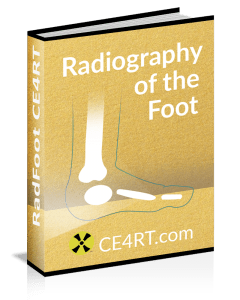 In order to understand how serious this recent situation in Mexico was, and how it could impact us as working radiologic technologists, we need to look at a similar situation that happened previously. The Goiânia accident was a radioactive contamination accident that occurred in September 1987 in the Brazilian city of Goiânia. The International Atomic Energy Agency called it “one of the world’s worst radiological incidents.” A cancer treatment center moved to a new premises in 1985, leaving behind a caesium-137 based radiotherapy unit that had been purchased in 1977. A private security guard was posted to protect the hazardous abandoned equipment. On September 13, 1987, the guard did not show up to work. That same day, two scavengers stole the therapy unit and took it home. There, they began dismantling the equipment. That same evening, they both began to vomit. Nevertheless, they continued in their efforts. The following day, one of them began to experience diarrhea and dizziness and his left hand began to swell. He soon developed a burn on this hand the same size and shape as the aperture. On September 15, Pereira visited a local clinic where his symptoms were diagnosed as the result of something he had eaten. He was told to return home and rest. The second man continued with his efforts to dismantle the equipment and eventually freed the capsule containing radioactive cesium from its protective rotating head. On September 18, they sold the items to a nearby scrapyard. That night, the owner of the scrapyard, noticed a blue glow from the punctured capsule. Over the next three days, he invited friends and family to view the strange glowing substance and offered a reward to anyone who could free it from the capsule. He mentioned that he intended to make a ring out of it for his wife. On September 21, at the scrapyard, a friend succeeded in freeing several rice-sized grains of the glowing material from the capsule using a screwdriver. He shared some of these with his brother, claimed some for himself, and the rest remained in the hands of Ferreira, who readily began to share it with various friends and family members. The cesium was given as presents to neighbors, relatives, and friends. Unknowingly, people daubed it, like makeup, on their skin. “They thought it was nice to rub it on the skin and turn the lights off and to dance like in a disco,” says Dr. Nelson Valverde who treated patients at the time of the accident. One man spread some of it on the cement floor. His 6-year-old daughter later ate a sandwich while sitting on the floor. She was also fascinated by the blue glow of the powder and applied it to her body and showed it off to her mother. Dust from the powder fell on the sandwich she was consuming. The little girl eventually absorbed 6.0 Gy, which is roughly equal to 13 Sv, more than the fatal dose even with treatment. On September 28, which was 15 days after the item was stolen, a woman took some of the scraps to a hospital. There, a physician rightly suspected that it was dangerous. On the morning of September 29, 1987, a visiting medical physicist used a scintillation counter to confirm the presence of radioactivity. The city, state, and national governments were all aware of the incident by the end of the day and the accident response started that evening. By the time it was discovered, the radioactive, soluble, cesium chloride powder had spread, undetected, in downtown Goiânia for over two weeks, causing significant radioactive contamination throughout the city. About 130,000 panicked residents overwhelmed local hospitals. Of those, 250 people, some with radioactive residue still on their skin, were found, through the use of Geiger counters, to be contaminated. Eventually, 20 people showed signs of radiation sickness and required treatment. Four people died, including the 6-year-old girl. The cleanup effort was massive and expensive. The whole operation, from first response to remediation, lasted six months and involved about 800 people. Goiânia´s legacy of a handful of cesium chloride is 3,000 cubic meters of contaminated waste. It is now buried in a near surface repository on the outskirts of the city, where it must be isolated for the next 300 years. December 1998 – Istanbul, Turkey – Two cobalt-60 teletherapy sources planned for export in 1993 were instead stored in a warehouse in Ankara, then moved to Istanbul, where a new owner sold them off as scrap metal. The buyers dismantled the containers, exposing themselves and others to ionizing radiation. Eighteen persons, including seven children, developed acute radiation syndrome. The exposed source was retrieved, but the other was still unaccounted for one year later. February 2000 – Samut Prakarn, Thailand – The radiation source of an expired teletherapy unit was purchased and transferred without registration and stored in an unguarded parking lot without warning signs. It was then stolen from the parking lot in Samut Prakarn, Thailand, and dismantled in a junkyard for scrap metal. Workers completely removed the cobalt-60 source from the lead shielding and became ill shortly thereafter. The radioactive nature of the metal and the resulting contamination was not discovered until 18 days later. Seven injuries and three deaths occured as a result of this incident. A major disaster was narrowly averted when the stolen material was found. Aside from the grave concerns over accidental contamination, there was also a concern that the cobalt-60 could go initially undetected and melted into other metals and distributed in consumer goods, or worse, be used to create a dirty bomb. August 2018 – Kuala Lumpur, Malaysia – On August 10, 2018, a radioactive source went missing when it was being transported outside Kuala Lumpur, the capital of Malaysia. The stolen device was a radiography unit containing Iridium-192 for industrial testing. Such devices are used in the oil and gas industry, for example, to X-ray pipelines and detect cracks. Authorities feared the material may be used to build a radiological dispersal device (RDD) or “dirty bomb.” Adding to the concern was the fact that Malaysia is strategically located on South East Asia shipping routes and borders Singapore, one of the busiest ports in the world. This raised the possibility of the stolen radioactive source being smuggled to potentially any part of the world. Interestingly, the Malaysian government, unlike the Mexican government, did not initially disclose the incident to the public. Informing the public is useful not only in locating the device but also warning citizens of its potential dangers if removed from the protective shielding. A proactive and transparent approach during such incidents can help to greatly limit morbidity and mortality. 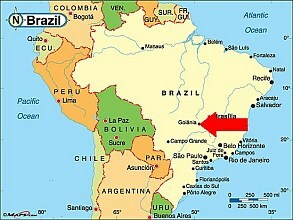 More on the Goiânia incident. More on the Mexico incident.